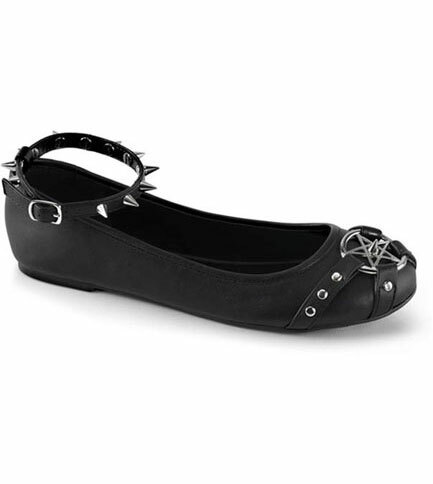 These star black veggie leather look single sole flat ballet shoes sport and adjustable ankle strap covered in silver spikes. On the vamp there is a silver pentagram ornament with studded straps in criss cross formation. There is a single spike in the center of the pentagram pointing at the stars.